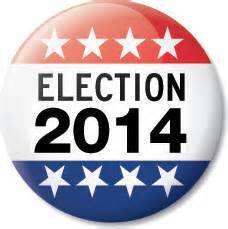 Dan Gaffney will have Sheriff Jeff Christopher at 7am. and Register of Wills at 8 am. this morning on 105.9, tune in and call in. 16 Comments on "Jeff Christopher And Cindy Green On 105.9 This Morning"
What NO comments about today’s interviews? Just maybe there are legitimate explanations that were revealed in Dan’s interview. Oh no, don’t reveal those to your readers Frank! I thought it was really cute of Cindy to bring and reveal documentation showing Dave Wilson’s business – Wilson Auctions doing appraisals while he was in office of Register of Wills contradictioning his earlier statements that Dan continued to play the pod cast over and over. Wonder what size caliber weapon he had in his pocket when he shot himself in the foot the other day when he called in and began his rant. Must be one heck of a hole. Yes, Republican Representative endorcing a Democrat because he doesn’t like Cindy taking appraisal work away from his business and replacing his staff. Isn’t that what elected officials have the right to do is appoint their own staff? Every other elected officials do it do they not? One down more to come Delaware Wrong! Gerald, I only heard the part of the broadcast where the issue of the county’s legal fees was discussed. The one caller I heard was correct in regard to Christopher’s answer being non responsive to Gaffney’s question. Christopher started off by blaming the lawsuit on the county and ended up reiterating his claim that the county’s defense didn’t cost them anything because the attorneys had already been paid. Christopher would have the people believe that the attorneys would have been paid the same amount whether he sued or not. What he is describing is a non refundable retainer. That is, if I pay my lawyer $25,000 at the beginning of the year and end up not needing his legal services,, under Christopher’s scenario, the attorney gets to keep the money despite having done no work. Non Refundable retainer agreements are unethical and the attorney would be subject to discipline, up to and including, disbarment . In a normal retainer arrangement the client deposits a set amount with the attorney who in return deposits the client’s funds (they are the client’s funds until they are earned) into a trust account. As the work is done the client is invoiced and the fee for the legal services is moved from the trust account to the attorney’s operating account. At the conclusion of the matter any unused funds are returned to the client. If you take a look at the document I posted you can see all the invoices AND, at the conclusion of the case one law firm reimbursed the county $1,835.11. It is the height of sophistry for Christopher to maintain that the county’s legal defense cost nothing when in fact the county paid $77,243.49 to defend the frivolous law suit. I did not hear his explanation for the loss of the Family Court contract and the attendant revenue. What was it? 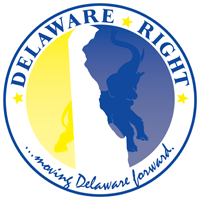 Gerald, you should start a blog for these Delaware WRONGS and call them out on their lies and corruption. I am curios as well by the silence when there is such eagerness to call Cindy out on the air. Maybe didn’t get the answers or reaction he wanted? Pete, How can Mrs. Green take work away from Wilsons Auction when its not up to the Register of Wills office to appoint a appraiser , Its up to the family to choose an appraiser for the estate. It makes no sense ” follow the money”. There are lots of appraisers in the state of Delaware not just Wilsons Auction. I’ve been through this process when Rep. Wilson was the Register of Wills. I was never steered to use Wilsons Auction for a appraisal. Which makes me believe this a ploy for Green to point fingers in a different direction to cover her own short comings. BTW I did not use Wilsons auction for the appraisal I had done. Now you know darn well Christopher didn’t loose the Family Court contract, The County Council did. They didn’t apply for it. They let it lapse to make Christopher look like it was his fault. Come on quit spinning the lies. When your judgement day comes those inflammatory lies are going inflame your soul. What about all the money County Council spent on fighting the legal battle about saying prayer before their meetings. Hold on, but the last time I knew spend our tax dollars on a no win situations on their conduct is supposed be OK? How can you even compare Sheriff Christopher waging an arguement based on the interpreption our States constitution on the behalf of all the citizens in Sussex County where their rights are preserved, protected and defended. For God sakes man he did that for you and everyone else. He did it with his own money. He only wants to protect the citizens of Sussex County when the need MIGHT arise which could be when he or Hus deputies confront wanted fugitives. The same wanted fugitives that are in the files of every State Police Troop and Municipal Police Department that haven’t been arrested and are still roaming around our community. What the heck is wrong with taking fugitives in custody when they are found. Turning same over to the agencies who have the warrents. It just another extension of law enforcement out there in the community saving lives. He DOESN’T want a county police force so quit your lying. Jack, what is Wilson’s Auctions business card doing in the Register of Wills office if its not to get appraisals? Yea right! Gerald, This is plain and simple! There is no reasoning with you what so ever. I’m told there is a whole rolodex of business cards in office for quick reference numbers. So I guess if that’s the case, Would you point the finger at every other business in that rolodex. Maybe your just offended that Mr. Wilson became vocal about Mrs. Green! Why has this not been an issue until Mr. Wilson indorsed Greg Fuller. because if there was wrong doing and Mrs. Green just now decided to let the people know 4 years after she was elected I have a problem with that!! jack. I don’t think it was Cindy’s intention to take work away from Wilson’s Auction, she is simply defending herself against the attacks Wilson has made against her. Gerald, are you conceding that Christopher ls lying when he says that it didn’t cost the county anything to defend the law suit? I’m not getting your argument that I am going to hell for looking at the published revenue figures, Christopher’s “bid”, as well as the State’s rejection letter and connecting the dots. Is that what Christopher said on the radio? That it was County Council’s fault? I’m surprised that someone as religious as you (thank you for the concern about my soul) would think that a prayer before a County Council meeting wasn’t worth fighting about.. The issue isn’t whether one was worth fighting about and the other wasn’t. The issue is Christopher’s telling people that the county’s defense didn’t cost anything.. He is either lying or foolish. Neither one of which inspires much faith in him. What I’ve never been able to understand is, if Christopher doesn’t want some sort of trained, armed force at his command, how is he and a handful of deputies going to protect me from, I assume, the Federal government when it invades Sussex County. On his facebook page Christopher asserts that he doesn’t want a police force, that all he wants is the power of arrest be restored. There is an easy solution for that, one that previous Sheriff administrations used. I know that under Swanson the Sussex County deputies were appointed state constables pursuant to Chapter 27 of Title 10 of the Delaware Code. Most, if not all of the present deputies would qualify without further training (I do not know if Christopher himself qualifies without further training). Equipment wise the only requirement is that they have a badge that says “Constable”. A badge that says “Deputy Sheriff” across the top and “Constable across the bottom would be easy to design. 10 Del C 2705 sets out the powers and duties of the state constables. I’m too lazy to retype the whole thing but suffice it to say that the deputies would have all the authority Christopher purports to want. (it is easy to find online) All that is required is that County Council pass a resolution seeking that the deputies be appointed state constables. It is my understanding that New Castle County presently has., at least, some, if not all, of their deputies so appointed. Now the political reality might be that County Council doesn’t trust Christopher’s leadership but I doubt that the next Sheriff will have that problem. The other political reality is that, without going the constable route or legislation rescinding 11 De C 1911 (i), the arrest power of a sheriff in the State of Delaware is a moot issue. The Delaware Supreme Court isn’t going to change its unanimous en ban decision and there are no federal US Constitutional issues to litigate in federal court. Christopher is never going to be able to effect the change that he wants from within the office of Sheriff of Sussex County.He is running for the wrong office. Unless and until the power of arrest is restored legislatively, Christopher’s pounding his chest and proclaiming that he is a “constitutional” sheriff has as much political relevance as him yelling from the mountaintop that he wears blue shoes on Tuesday. Jack did you hear Dan Gaffney’s interview with Cindy Green? Huh! Cindy Green stated several times that Dave Wilson who is the owner of Wilsons Auction while he was Register of Wills did appraisals which she provided documentation. She further stated where Wilson’s Auction business card was located in the office was a violation, so she removed it from its location. Now Cindy Green like a lot other same party candidates and elected officials generally don’t dime each other out unless attack. Hence come forth Dave Wilson with his big mouth which inserted his foot! You just substantiated what someone advised me last week. That the County Council would entertain the aspect of the Sheriff having arrest powers if it was anyone else but Sheriff Jeff Christopher. Talk about serious ego maniacs in the Counsel. Anyone but Christopher. Boy now that makes a heck of lot of sense. After all Sheriff Jeff Christopher has done to enhance the Sheriff’s office which prior Democrat Eric Swanson didn’t and argue for the people rights which no one has ever done, you rather fight a fellow Republican that is popular among all parties and could keep the office of Sheriff in the Republican party by putting up a challenger against a incumbent which might result in the Democrat who was recruited by Pete Swartzkoff to win the Sheriffs office. Your all idiots. Gerald, can’t agree that Christopher is popular across all parties. He did lose the primary for his own party. We can debate forever the meaning of the primary result but, considering that Robert Lee was almost unknown outside of Seaford when he started, there was a significant percentage of Lee’s votes that were cast against Christopher as opposed to for Lee. I likewise believe that there are very many people who are not necessarily opposed to arrest power for the sheriff but don’t like how, they perceive, that Christopher tried to seize power. I know that is hard to believe if all you listen to is 105.9 or 92.7 but the reality is that that audience makes up a very small percentage of Sussex County voters. It is not enough to simply get the purest conservative candidate elected; it has to be someone with the skill and acumen to govern once elected. As I said elsewhere, we spit out the words “politics” and “politicians” as epithets when politics is simply the art and science of dealing with people. Jeff Christopher does not do that well and as a result his message has not been well received if not down right rejected. The reality is that he tried to do with a chainsaw what needed to be done with a scalpel. Regardless of whether he was right or wrong you don’t change over 100 years of practice without a plan and allies. This should have come as no surprise to Christopher because he was Bob Reed’s chief deputy. Yes, slamming the door on Sheriff arrest powers was as much about slamming the door on Jeff Christopher as it was on the issue itself. Whether that is right or wrong, Jeff Christopher, and the people who are vitally interested in a more robust Sheriff’s office, have Jeff Christopher to blame. If you just read and comprehend what you yourself are writing on this blog things will make a lot more sense to you. You stated that you went through this process when Dave Wilson was the ROW and you didn’t hire Dave to be your appraiser–but you DID hire an appraiser! Because you had to! Because it was required! Don’t you understand that that right there is the issue at hand being discussed? Cindy Green provided PROOF that Dave Wilson WAS DOING APPRAISALS while he was the ROW. You can’t say she didn’t take work away from him when the proof is in the documentation. Can families still decide to get an appraisal now that the requirement is lifted if they wish? Yes, but now that it is not required the use of an appraiser is less likely, therefore taking money out of Dave Wilsons pocket. As for your statement on the other blog about waiting 4 years to just make changes to the things done wrong in that office–come on! Haven’t you been listening? She made the necessary personnel changes throughout her time in that office BECAUSE of the things that were done wrong and lazily. How is that waiting 4 years to make changes? What is just NOW coming to light is the reason why Dave Wilson has ALL OF A SUDDEN switched camps after 4 years. So she did some digging and he shot himself in the foot when he gave the public his answer on live radio. APPRAISALS. Picture it–2010 Cindy Green announces she will be running against the incumbent Greg Fuller. It’s a sunny day in the Town of Georgetown and a crowd has gathered at the Old Courthouse near the Fire Hall. Who is that standing front and center beside Cindy Green insisting that Greg Fuller is a double dipper, a no-show, a “too busy with this other full time job” kind of guy that needs to be REMOVED from that office–why, none other than DAVE WILSON. Now PICTURE THIS–it’s 2014 on a rainy, cold, disgusting day at Apple Scrapple in Bridgeville (no, the weather has nothing to do with the actual issues but it was too perfect not to mention) and who is that standing front and center next to Greg Fuller insisting that he is the better candidate for the office he was voted out of–why, none other than DAVE WILSON. Yet, he helped get him out of that office because he was NOT the right person to be in that office according to Dave last time around. The best excuse Dave Wilson can come up with that he wants Cindy Green out of this office is that she changed the personnel around when she was elected. If anyone needs to “come on” it’s those who believe Dave Wilson is so in-love with these employees (because he spent a whopping 2 years in that office with them mind you) that he would switch camps and contradict everything he stood for and everything he said in 2010. Robert Lee won by a mere 19 votes in the Republican primary with only 14% of the registered voters. Hardly a resounding victory by a small percentage of voters. Negative and deceptive politics practices, i.e. twisting the truth – lying against the incumbent by the opposition Robert Lee campaign to gain advantage by swayng public opinion of Sheriff Christipher is down right despicable. If you bragging about a relatively unknown taking a larger percentage of the vote through despicable political practices a victory, you really got something to be proud of, politics at its finest through lies and deception. So you believe everything that said on talk radio 105.9 and 92.7? Anyone with a half brain knows better. It is your perception only that Jeff Christopher doesn’t speak well with the public when reality he gets numerous public speaking engagements around our state and country. But how would you know, you haven’t had a conversation with him in four years. At least he has the gonads to attempt to regain the Sheriff’s authority to assist and apprehend fugitives in our communities. How silly is it to allow the SPCA officers the ability to arrest people on abuse animal complaints and OUR OWN Sheriff can’t even take someone into custody for being disorderly, wanted fugitive or crimes in plain view. This is total madness! Furthermore just because Sheriff Jeff Christopher worked as a deputy under Sheriff Reed doesn’t mean that he agreed with Reed policies of the Sheriff’s office. Did you ask him? Heck no you didn’t. Another line Christopher uses a lot. He sees all this crime happen. He was on the radio one day and Gaffney that he know all the big drug players in the area. I wonder how much of this information he has shared with DSP. All the crimes he claims he witnesses and he could stop and make arrests how many times has he called 911 to report these crimes. I’m sure someone could FOIA his county issued cell phone if they were so inclined. My guess is the answer is zero because he is full of crap. He has no idea who the major drug players are like he stated. He doesn’t witness all these crimes he uses it for taking points. Just like when he had his deputies pulling cars over he never did so himself. He instructed the county employees that could get fired to stop cars but he himself never did it. Iyiu telling me he has never seen a car speed? If he truly believes he has the powers he claims why has he never used them? Gerald, The first three words of your last post gave me hope that you finally had a grasp on reality. You got it right. Robert Lee won. After that, not so much.